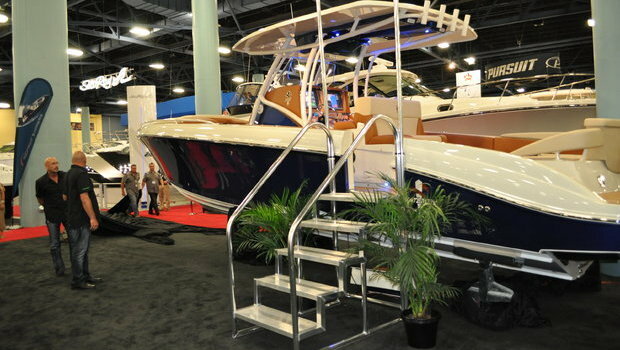 Statement has been making waves at this year's Miami International Boat Show, which kicked off Thursday, February 16th and runs through Monday. On Thursday, company executives unveiled their newest model, the 368 SUV Crossover, at a packed press conference. 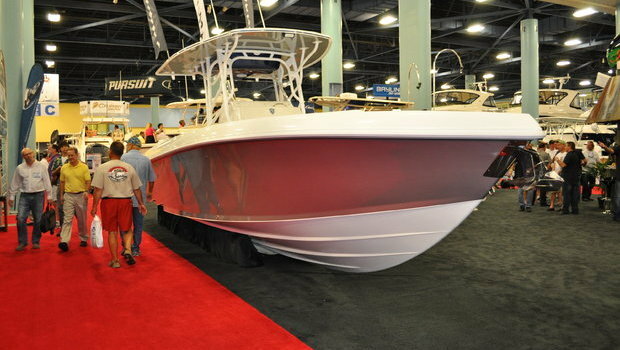 On Friday, the new www.statementmarine.com was launched. 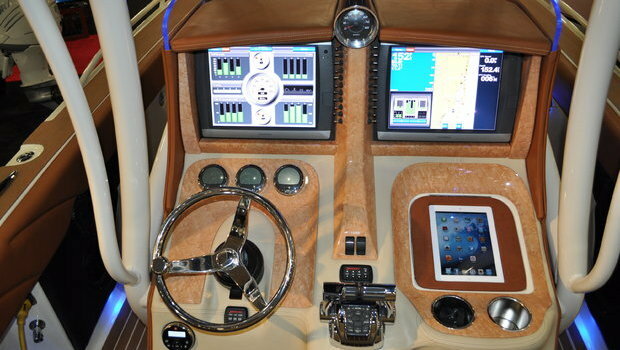 And today, Statement's display at the Miami Beach Convention Center won Best Boat Display for the entire show. 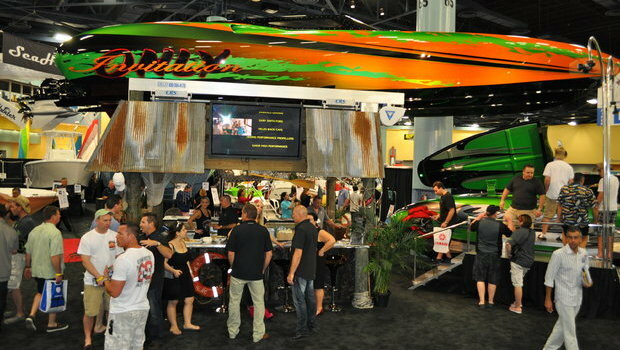 The centerpiece of Statement's Miami Show display was their "Invitation Only" boathouse bar, a whimsical, Keys-style tin-roofed bar, atop which stood "Invitation Only," the newest Statement 42-foot Ultimate v-bottom performance boat. In a creative twist of old and new, the bar's authentically-rusted corrugated-tin roof incorporated massive LED flat screen televisions which displayed video footage of Statement models blasting across the water. With bar stools on all four sides and refreshments for all, the structure made for an inviting -albeit attention getting - gathering place for visitors to the booth. 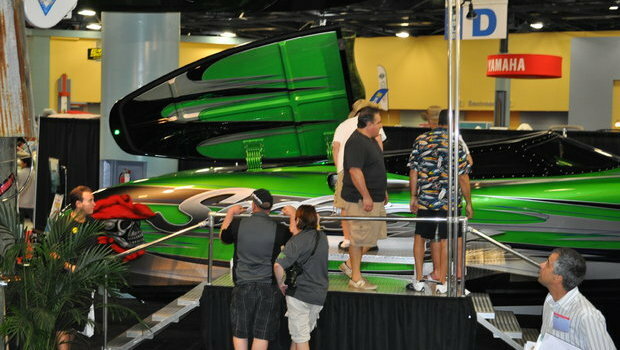 Also on display was another themed 42 Ultimate - the brilliant green "Saddle Up" boat, a Statement 34 SUV center console, and also the 368 SUV Crossover, which was the star of the show at Thursday's unveiling. 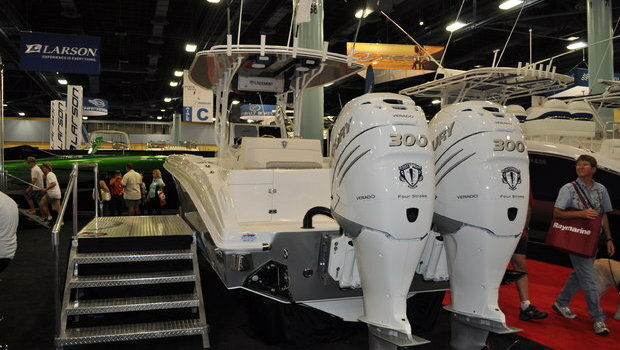 "We always look at the Miami Show as an opportunity to showcase the excitement and fun of our product line and of high performance boating," said Statement co-founder/co-owner Todd Werner. 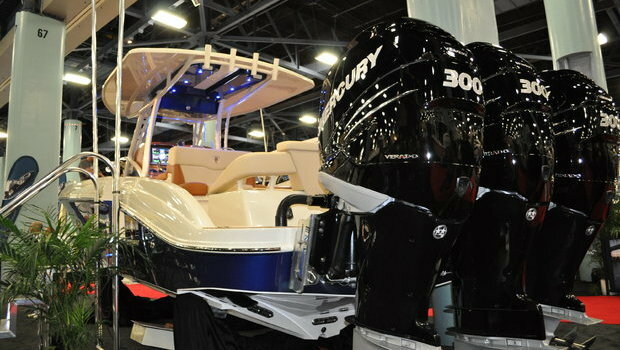 "We're not just selling boats, we're selling a lifestyle, so we did our best to create an environment that reflects that. We're pleased to accept this award on behalf of all our entire team, including the many hard working employees back in our St Pete shop who helped us make this year's Miami our best ever."